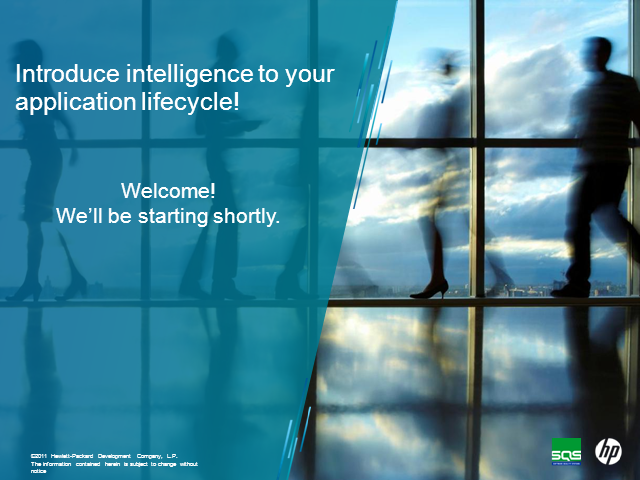 Introduce intelligence to your application lifecycle! Are you being asked to deliver more application releases in shorter timescales? With a growing number of devices to support and a competitive market place that demands frequent releases of applications to support the business, fully testing applications for release has become almost impossible. HP Application Lifecycle Intelligence (ALI) allows application teams to shift investment to innovation. By tightening collaboration between the application teams, providing visibility into the development work across multiple tools and ecosystems, adding intelligence and analytics, HP ALI allows application teams to keep up with major market disruptions such as mobile, cloud, and composite applications and keep up with the increasing demand coming from the business to innovate more and faster. Join us and our specialist partners SQS for a webinar to explore the benefits ALM 11 and the ALI 2.0 functionality. Title: Introduce intelligence to your application lifecycle!